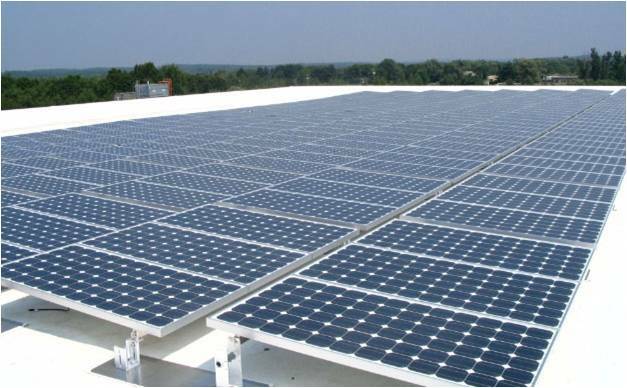 EI Associates was retained by Alteris Renewables, Inc., a leading supplier of renewable energy systems, to provide electrical engineering services associated with the design of a 570kW rooftop photovoltaic system. The system was designed for a Northeast retail company at a facility in Somerset, NJ. EI provided all electrical engineering design and prepared documents to obtain permits and construct the photovoltaic system improvements. The panels, which will reduce energy consumption at the store by more than 7 percent, are part of the company's plan to reduce its carbon footprint by 20 percent in the seven years between 2008 and 2015.